Each HBA tile is composed of 16 crossed bow-tie antennas in a 4 x 4 grid. 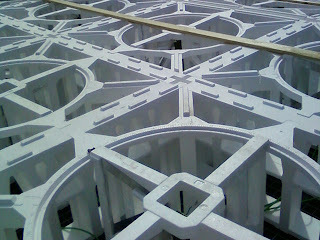 This grid is exposed at first, but during the assembly it is covered with polystyrene lids and then a polyurethane cover. 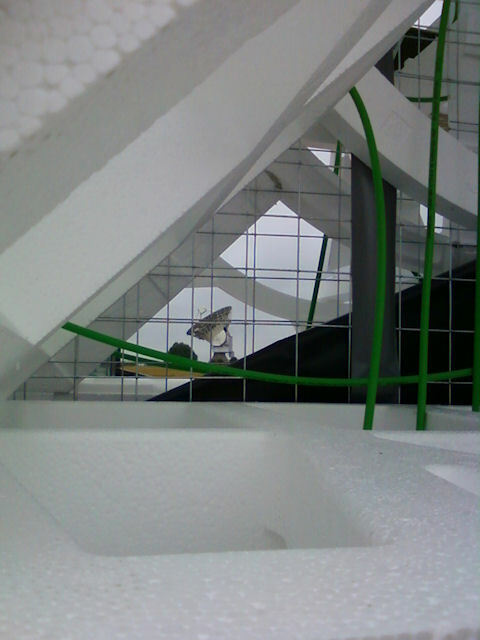 Under the entire tile is a wire mesh, which acts as a backplane (like the ground plane wire mesh the LBAs had). The honey-comb structure which holds the individual antennas. A shot looking through a still-vertical tile at the 25m dish in the background.